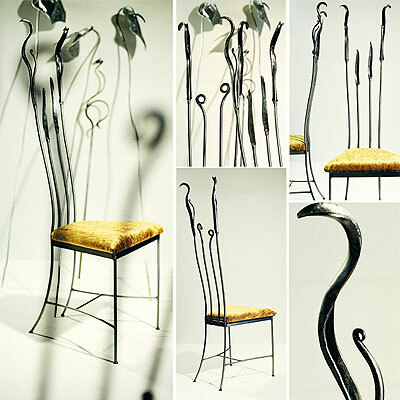 Handforged by our blacksmiths the chair is Unique and Beautiful. Faux suede, leather or textile seat paddings are available. You can also supply your own material.